First published in 1980, The Anatomy of Literary Studies provides students of English Literature with a clearer understanding of the significance and scope of the subject and a comprehensive background to its study. It gives pointers towards intellectual integrity and advice on independent study, libraries, essay writing and examinations. 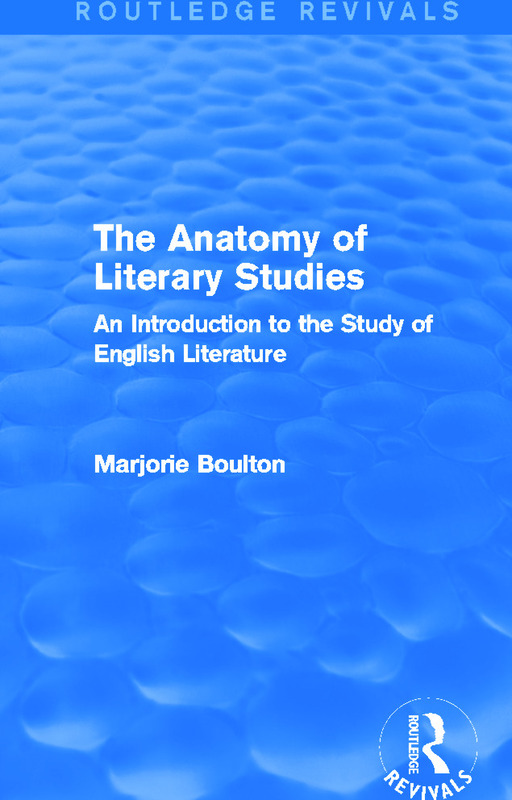 This reissue of Marjorie Boulton’s classic work will be of particular value to students studying English at university or those applying to a course who would like a fuller understanding of what it might entail.